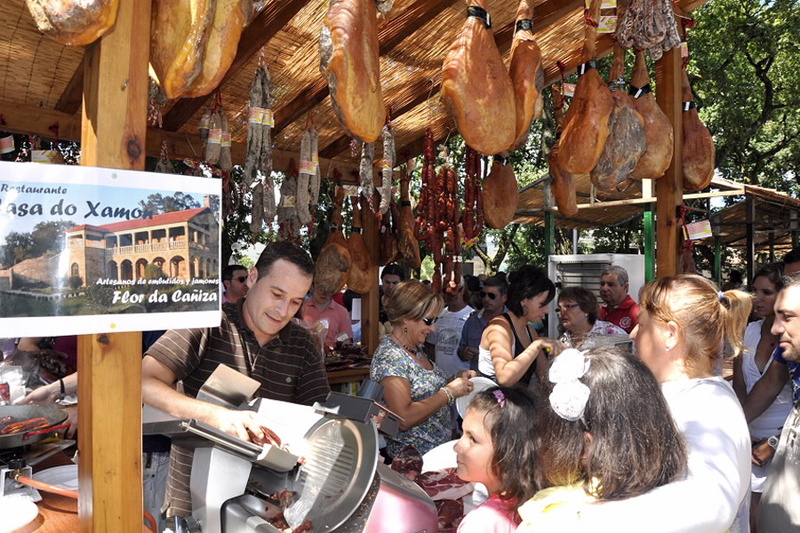 What to do in Galicia from 6 to 12 August? The month of August is here! As every week, we bring you the Agenda of the main festivals that will take place in the Galician geography in the next seven days. Like every month of August, you will have a place to choose, so we hope that you will be encouraged to visit some of them, and especially that you have a great time! August 6 to 13 – A Guarda, Pontevedra. 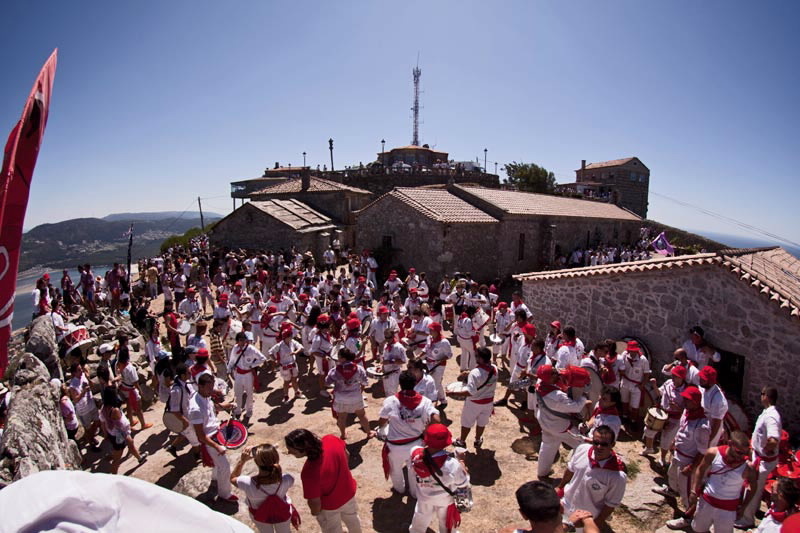 The most important party of A Guarda lasts a whole week, ending on Monday the 13th, called “Domingo do Monte” with a large circulation of fireworks and party. On Saturday, the traditional parade will take place at the center where all the bands and groups of traditional Galician music of A Guarda participate. The following day, in the mountain, the ritual of the xura is celebrated: drinking wine swearing to return and in memory of those who could not be. August 9 to 11 – Foz, Lugo. In the height of summer, these patron festivals are full of attractions. The day dedicated to Saint Lourenzo begins with a mass sung by the Foz Choir and ends with the procession of the Saint. On the night of August 10 there is a very special pyromusical and aquatic show. There are also, during the whole month, an infinity of cultural proposals that encourage Foz, such as octopus tastings, the feast of the queimada, folklore shows, sand castle competitions, etc. August 9 to 19 – Vilagarcía de Arousa, Pontevedra. 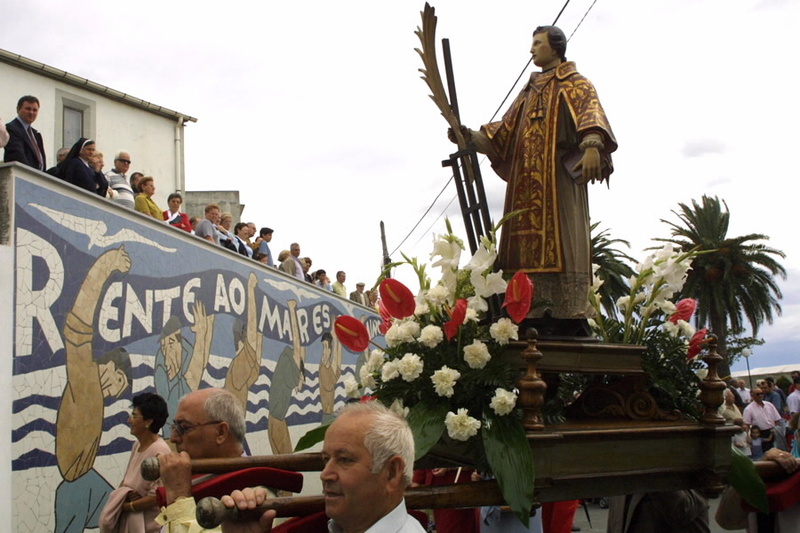 Vilagarcía de Arousa begins on the 9th its festivities in honor of its patron San Roque but its most important day is the 16th, with the solemn mass and the procession of the Saint. Then, on the 16th, its most famous claim, the Festa da Auga, is celebrated in a wide area where an infinity of young and not so young people are concentrated. It involves fire trucks, water guns, balloons, cubes from the balconies, etc. Nothing better than this water war to cool off in the morning in the middle of summer. This celebration of exaltation of such delicious food will be held from August 11 to 15, reaching its 51st edition this year. In the program highlights the day 15, a day that will not miss the traditional tasting, as well as the V Concurso Nacional de Cortadores de Xamón, musical performances and a great children’s show. The rest of the days also have activities of interest, such as the ham cut masterclass and the wine tasting on the 14th. Come and enjoy this delicious delicacy! Saturday August 11 – Street of San Cibrao de Cervo, Cervo, Lugo. The Maruxaina? Some say she is a mermaid who envies the sailors’ women … Others say that she warns them of the storms of the sea. 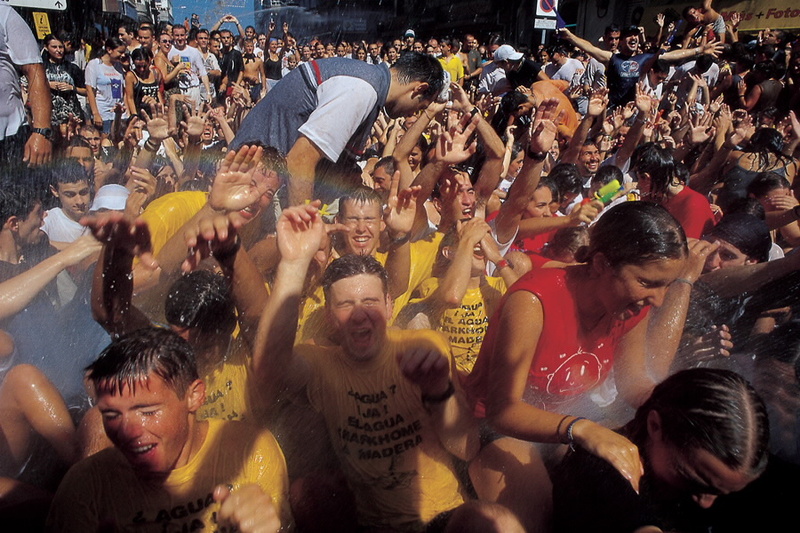 Be that as it may, the town of San Cibrao decided to stage the legend, which tells that La Maruxaina was arrested and judged, with this party that has been celebrated since 1985. The performance begins a little before midnight, and to set the mood, the lights go out of the people and those present are dressed in ancient clothes. The men enter the sea “in search” of the Maruxaina by blowing horns and horns so as not to hear the song of this siren. They return to the beach with the figure of the nymph and, in the midst of fireworks, the siren is taken to the town square to be judged. But … What happens next with the Maruxaina? We hope you see it in person! 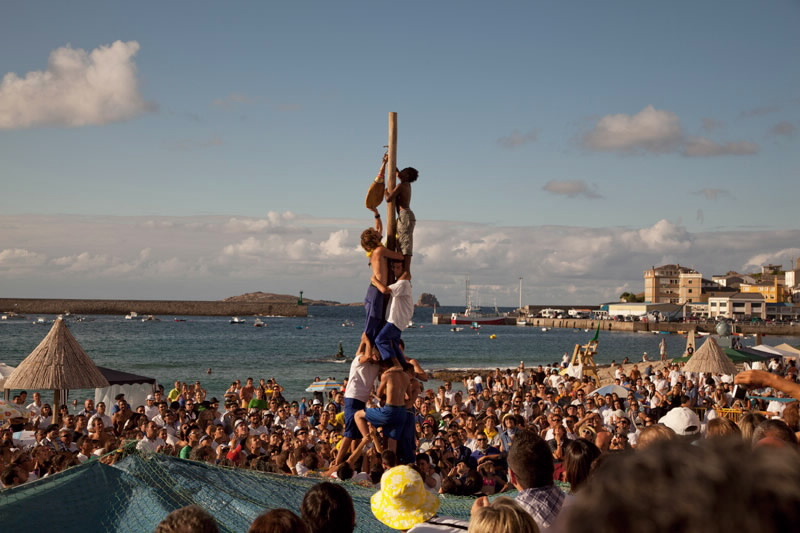 August 11 and 12 – Vilanova de Arousa, Pontevedra. 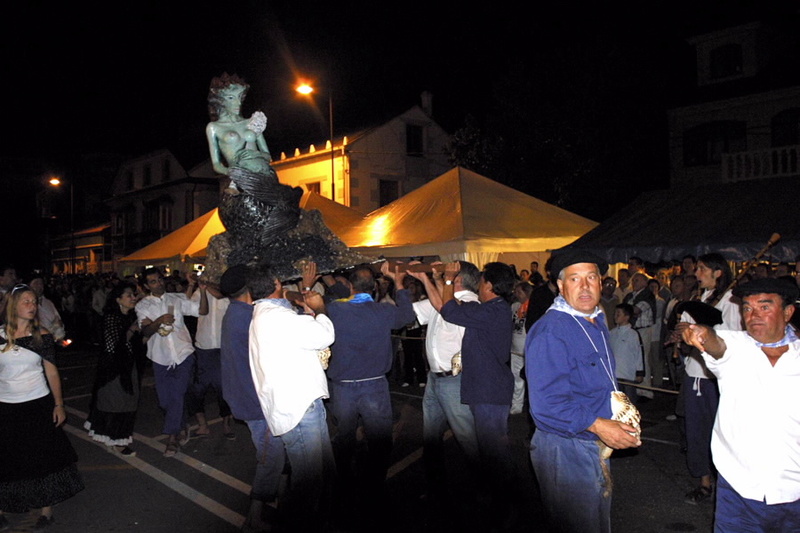 The mussel and the cockle make up a large part of the local industry in Vilanova de Arousa, which is why they are honored at this festival on the weekend of 11 and 12 August. 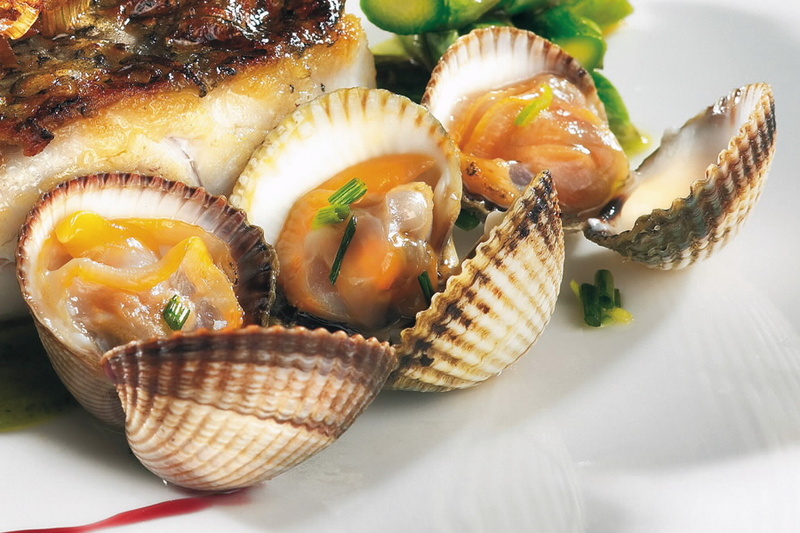 In the course of the celebrations, a large quantity of kilos of these delicious molluscs are dispatched, which you can enjoy accompanied by the best wines. Sunday, August 12 – O Carballiño, Ourense. 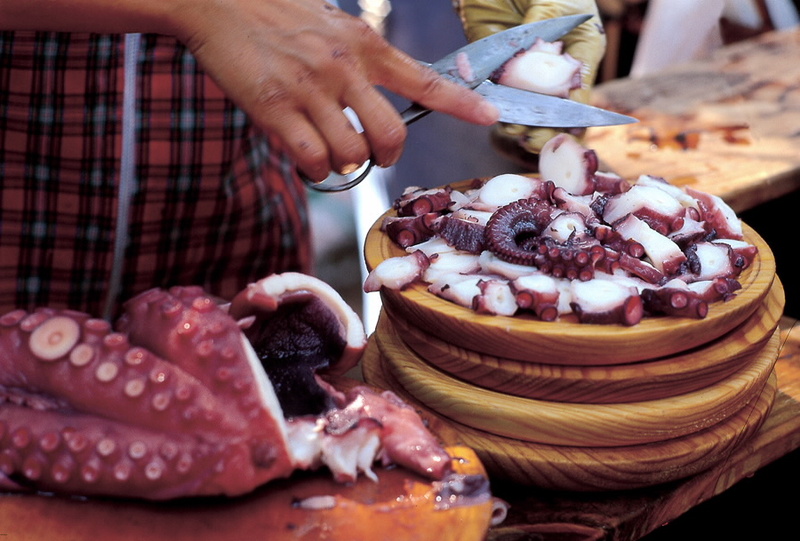 The octopus is the host of this gastronomic festival, one of the most important in Galicia. Around 70,000 people come every year to Carballiño to taste this delicacy and about 40,000 kilos are cooked, although you can also taste broth, caldeiro meat, empanada, O Ribeiro wine, Cea bread and the traditional queimada. There are also the famous O Carballiño cream cakes (delicious).